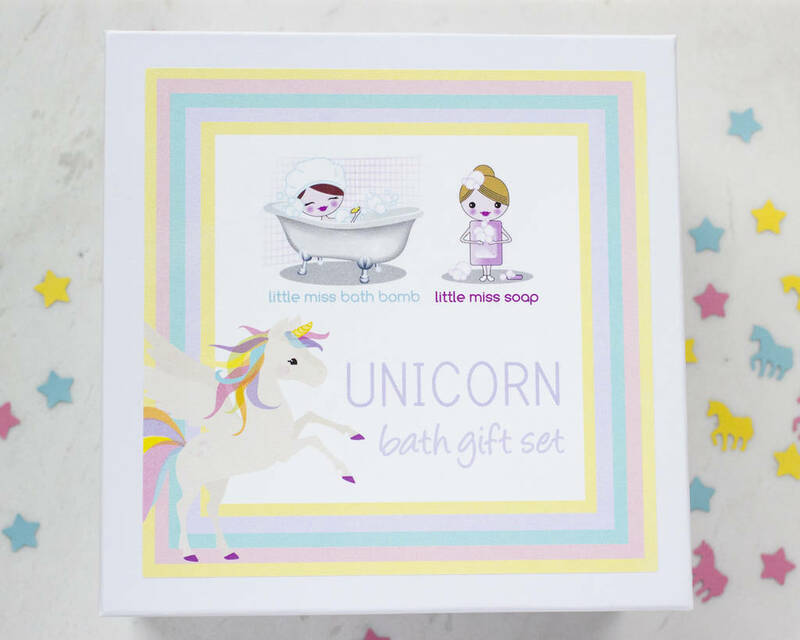 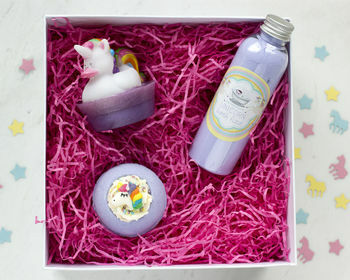 A Collection of Unicorn Themed Bath Products presented in a bed of shredded gift tissue and packaged in a white gift box. - Unicorn Bath Fizz - a candyfloss fragranced, lilac bath powder to sprinkle into warm running water, for a sparkle filled soak. 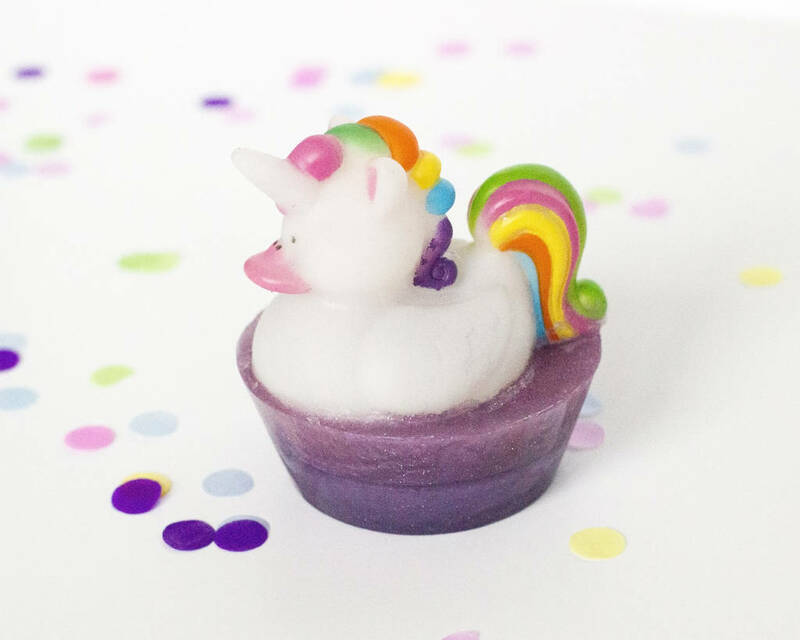 - Unicorn Duck in Soap - a Unicorn Duck sits on a marshmallow fragranced, purple glitter SLS free soap, lather up and enjoy a little washtime play with your Unicorn Duck Bath Toy while you bathe. 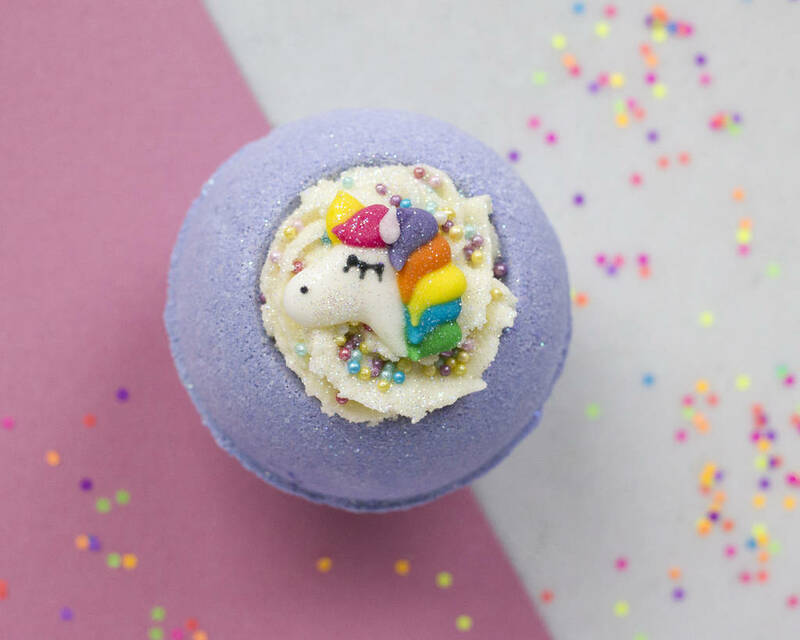 - Unicorn Dreams Bath Bomb - place your bath bomb in warm water and watch as it fizzes rapidly releasing its tropical fruity fragrance and then see a creamy swirl of cocoa butter melt ready to moisturise and nourish your skin for a Unicorn themed soak. 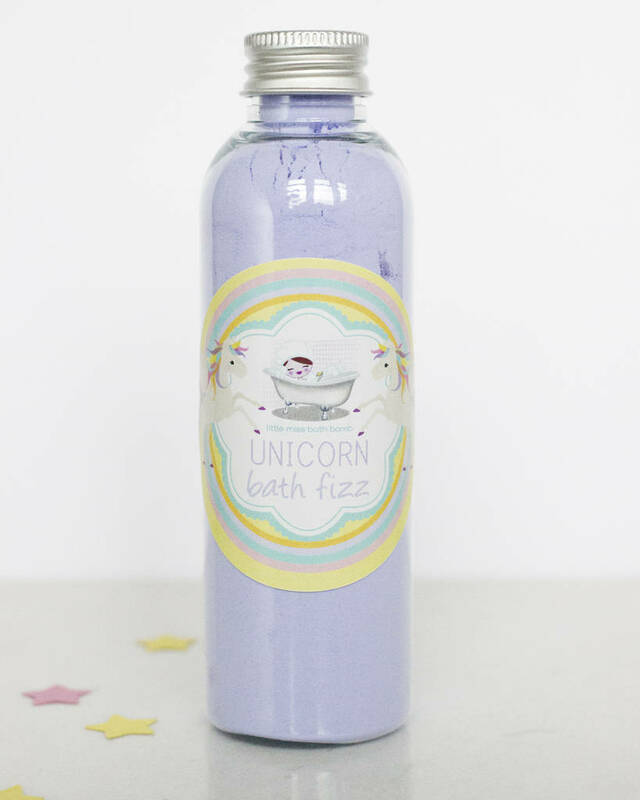 Would make a lovely girlie gift for any unicorn lover.